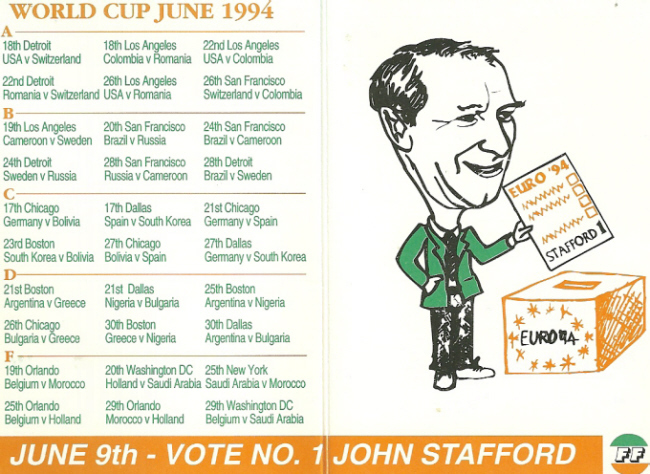 From the 1994 European Elections a USA 94 fixture Guide from Fianna Fail candidate John Stafford. He failed to win a seat. 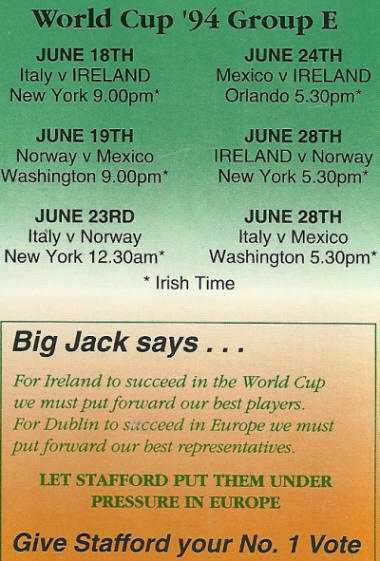 A strange leaflet where he endorses himself from Jack Charlton.